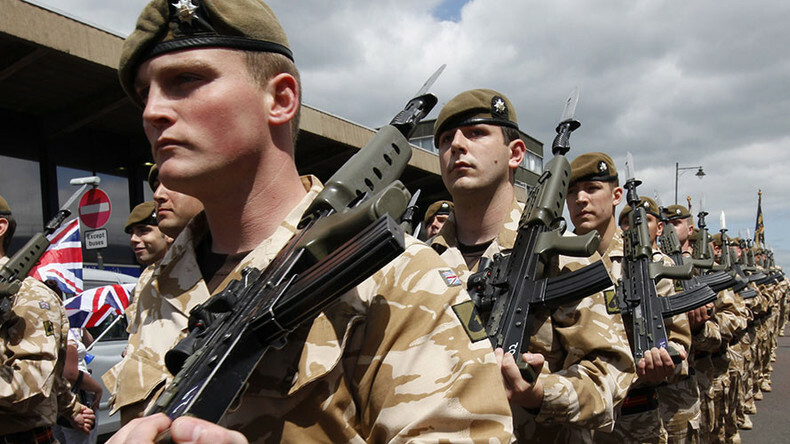 British troops set to arrive in Estonia as part of NATO's mission to deter an alleged Russian aggression should be prepared to face such threats as "Russian honeytraps" and "staged pub brawls," Estonia's spy chief has warned. Apparently, one of Russia's daunting tactics in Eastern Europe is "to make British troops look like thugs," the Times reported on Tuesday, citing the head of Estonia's intelligence agency, the Estonian Information Board (EIB), Mikk Marran. Speaking to the British media, the Estonian spy chief suggested that once the British troops are deployed to his country at the end of March, they will become a "target" for Moscow. "There will be 800 young British soldiers. People will be traveling from their bases to the cities. Probably they [will] do some pub hopping. We cannot exclude some fights that might be triggered by the opposite team, as we call it in Estonia. For example, traditional honeytraps and so forth," Marran told the Times in what was described as "a rare interview." According to the intelligence chief, the two friendly nations' officials "had been discussing the threat for months," apparently trying to figure out how to secure the Estonia-bound British personnel from the alleged "Cold War-style spy games." Russia's "tool box" is "huge," Marran said, warning that the Brits' "pub hopping" in Estonia and other NATO troops’ possible shenanigans in the region might result in blackmail through social media and "provide a perfect opportunity for Moscow to create a false impression of western aggression." NATO has lately been massing its offensive capabilities on the Western borders of Russia, having announced the deployment of weapons and hundreds-strong multinational battalions to the Baltic states and Poland. Moscow has repeatedly criticized the military buildup, which is NATO's biggest in Eastern Europe since the Cold War. Russia's Defense Ministry has said it is prompted to take reciprocal measures, presumably not meaning "honeytraps," though. In order to address the security challenges, Russia is supplying state-of-the-art armaments and weapons systems to the army units guarding its western borders, as well as ramping up combat training for the troops.